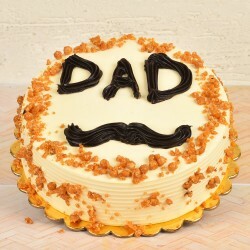 Make your dad smile even wider with gifts that express your love like never before. Glance through our wide range of Father's Day gifts and choose the one that best suits you. You can also personalise your gifts as well. 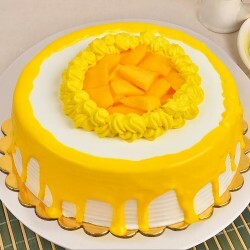 Place your orders and send your gifts anywhere in Thane. It is time to acknowledge the valor and sacrifices that your father have experienced for your upbringing. Celebrate the upcoming Father's Day 2018 by thanking him for everything he has done for you. You respect the life lessons he has imparted to guide you for life and its challenges. The security he has offered in troublesome situations has helped you learn about courage. The love and affection he has showered Ã³n you all these years is priceless. Every dad is an inseparable part of an ideal family. He serves as a guiding light for the family members, showing them the right away in tough times. He is just a call away when we seek his help. 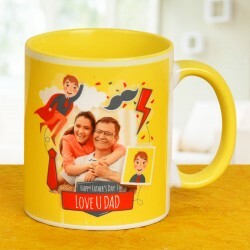 Send Father's Day Gifts to Thane Mumbai with the help of MyFlowerTree. 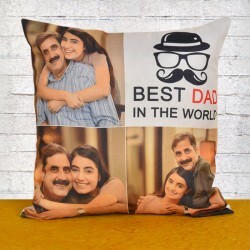 Usually, it is hard to find unique gift ideas for our father whom we so dearly love. It can be a tiring exercise when you have to raid markets trying to find that perfect giveaway option. 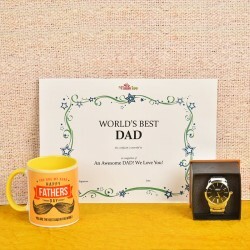 Scroll through our vast collection under Fathers Day gifts Thane delivery section. To honor his love, gift him something that he can cherish for times to come. 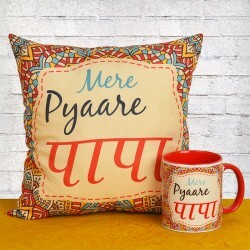 Our collection of personalised gifts like mugs and cushions let you create joyful moments on celebratory occasions. Our freshly baked cakes, delicious cookies, select sweet boxes and delectable chocolates provide plenty options for fathers who are hooked on to sugar. Our specialised selection of grooming kits come filled with masculine knick knacks that help your father maintain his charm. For a workaholic dad, we have a range of frames, clocks and desktop accessories that add magnificently to his work environment. Our potted indoor plants offer unique gifting options that are useful for recipients. 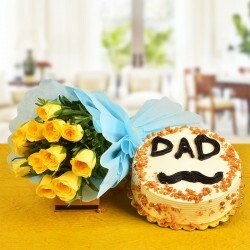 Your search for most desirable Fathers Day gifts comes to an end with MyFlowerTree. 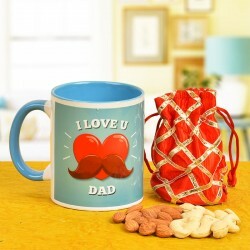 Tuck away the hassle of Shopping for perfect gifts for father in the local market and explore the new age online options. 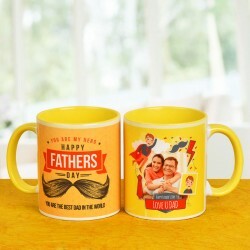 We offer same day Fathers Day Gifts Delivery Thane. 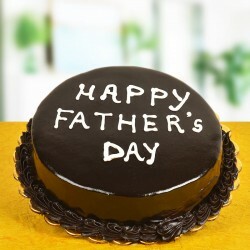 Trust us with father's day gifts Thane delivery and gear up for a flawless execution of the surprise you have planned. 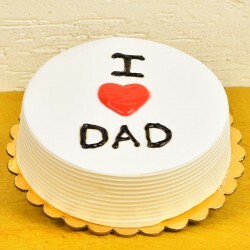 You can order a Fathers day surprise for your dad back home in Thane from wherever in the world you are. 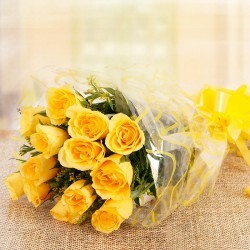 You will surely find a gift matching his taste, choice and preference at our gifting portal. 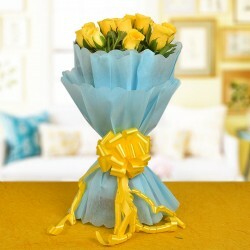 Our gifting options are of good quality and too good for the prices quoted for them. 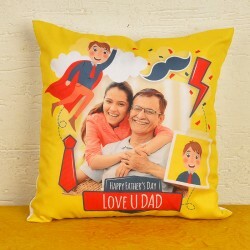 We offer Fathers day gift delivery in Thane city even at midnight for anyone who believes in surprising loved ones in darkest of the night. Just log onto our easy to use website and be startled by our amazing collection of gifts. After you have made up your mind about what you want to gift your dad, add it to the cart and make payment. Leave the rest of the job to us. It will be a happy fathers day.